Anne Kinnear conducted a legal practice, Kinnear & Company Solicitors, in Newcastle, specialising in Mediation, Family Law and Wills & Estates. Kinnear & Company Solicitors has now merged with Carroll & O’Dea. Anne is accredited by the NSW Law Society as a Specialist in Family Law. 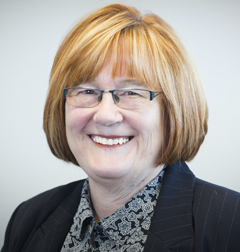 As well as working within the court system, Anne has extensive experience in resolving family law matters outside the court system and encourages the use of Alternative Dispute Resolution processes in her practice. Anne is a nationally accredited mediator and collaborative law practitioner. She takes an approach that optimises the well-being of those involved in a legal process and acknowledges the importance of concerns beyond simply strict legal rights. Anne uses in depth expertise to guide her clients to resolve disputes by reaching a compromise they can live with. Her considered approach works to preserve relationships where possible, for example between parents and children, or between siblings in a contested estate matter. Anne is a graduate of the University of Edinburgh, having completed a Bachelor of Laws Degree in 1975. Anne also completed a Masters in Economics at Dundee University. She was admitted to practice in New South Wales in 1984. Anne is accredited by the NSW Law Society as a specialist in Family Law. Anne is a Nationally Accredited Mediator by the Resolution Institute. Anne is a trained Collaborative lawyer. Anne is a Fellow of the Australian and New Zealand College of Notaries. Listed in the Doyle’s Guide to the Australian legal Profession as a Leading Family Lawyer – Newcastle & Central Coast. Considering a divorce or separation? Get started with Anne today by using our free smart questionnaire. This friendly and discrete tool will ask you questions about your circumstances, then give you a summary of where you stand and what might come next.